On a recent trip for work to Denver, I visited one of my favorite print shops – Foils & Dies in Denver, CO. One of my greatest “loves” in what I do, besides getting to be creative and draw pictures all day, is letterpress printed items. There’s so many things that draws me to this art form. The tactile nature of the paper and the relief printing. The simple elegance. It’s “nobility”. The endless creative possibilities. There has been a revival in the craft over the past few years, and it has become very popular for business cards, wedding invitations, custom books, and one-of-a-kind items. Letterpress shops even offer classes. 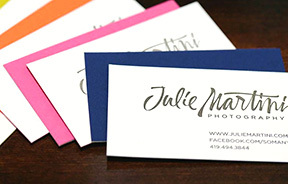 If you’re in the market for something unique in corporate identity, consider letterpress printing.